Staycations have been very popular this season but with summer coming to a close, now is the time to amp up your backyard room and make it into the perfect backyard getaway. These eight simple steps will help inspire your creativity and really bring your backyard paradise to life. When designing your backyard room it is important to include different activity zones within the space. Breaking your backyard into zones creates the illusion that your backyard is larger than it really is. The simplest way this can be done is by creating multiple levels or even separate rooms that provide space for dining, relaxation, and activities. By incorporating any or all of these techniques you will be able to transform your backyard room into the getaway of your dreams. Next week we will move ahead with the second step of the eight steps to the perfect backyard getaway, incorporating an outdoor kitchen experience. Now that the weather is starting to cool down the perfect addition to any backyard getaway is your very own outdoor kitchen. The idea of having a kitchen outside may sound expensive but to simplify it, all you really need is a counter top, grill, and possibly a small fridge to heighten the experience. 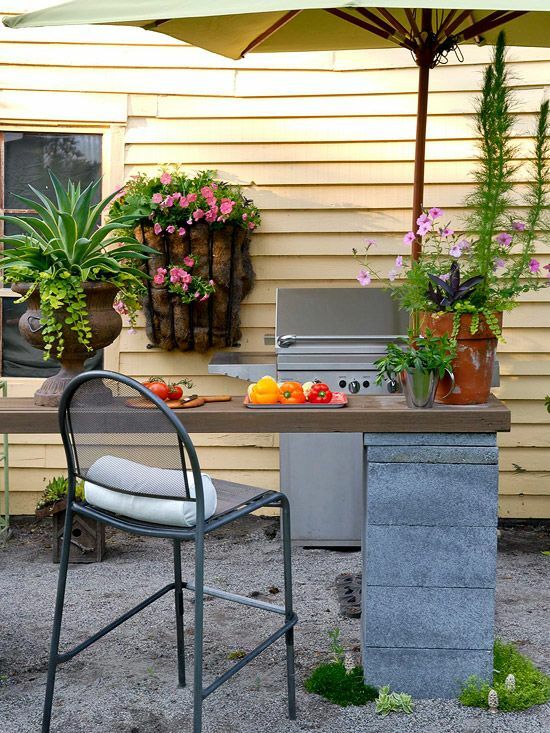 You can’t go wrong with the addition of these basic elements in your backyard room. 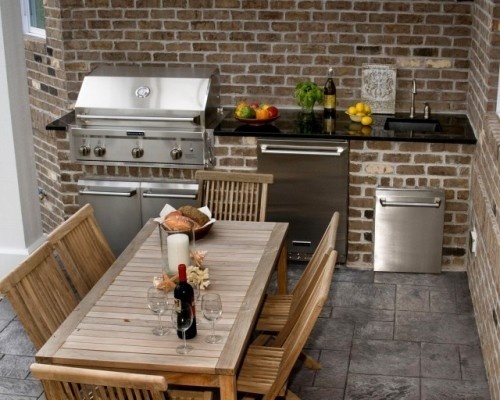 Whether you are going for a more simple or pricey look, the addition of an outdoor kitchen zone will add value to your living space. This element will help bring your friends and family together and ultimately enhance your backyard getaway. The third step to the perfect backyard getaway will be touched on next week, but here's a little hint: you won't need your shades. 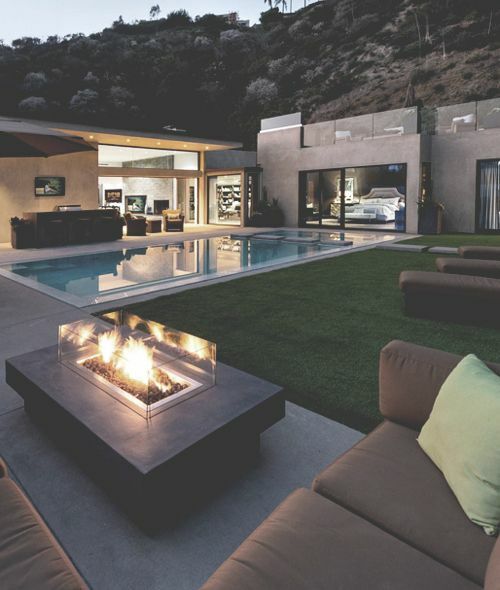 Nowadays we want our backyard to be the epitome of an outdoor paradise. Often times we take refuge in our backyard room for many different reasons including comfort, privacy, and leisure. Whether you are looking to turn your backyard into a relaxing paradise or you're just looking for a place where you can be comfortable, these tips for creating privacy will come in handy. There are many ways to add an element of privacy in your backyard room to create the feel of an outdoor oasis without simply adding a fence. One very popular trend people are using to define an outdoor space is a plant wall. This plant wall can be made up of plants ranging in size, shape and fullness. High walls with plant appeal create both shade and privacy. 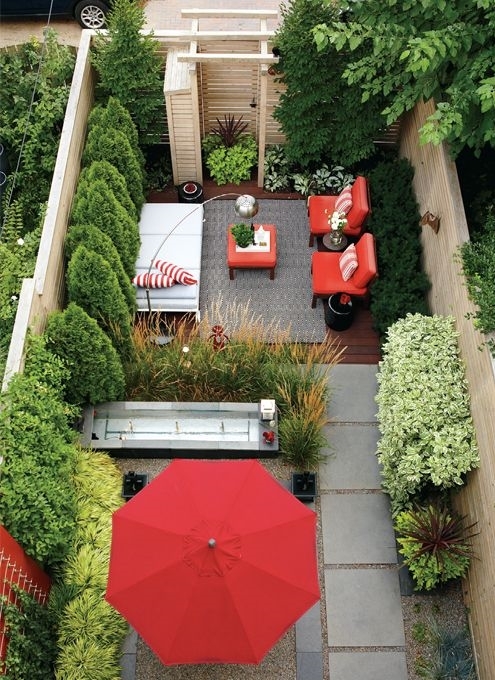 An area like this would make for a great escape in your own backyard room. Image as seen by HGTV. 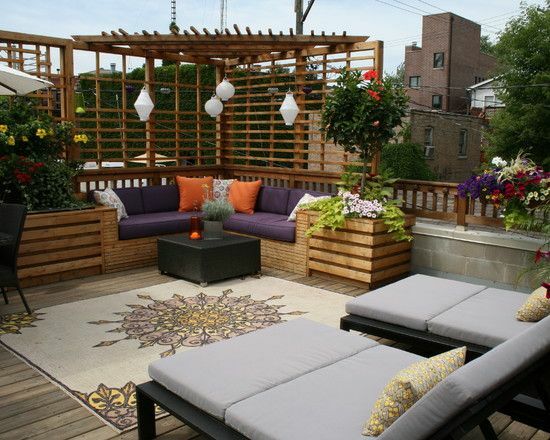 Another great way to create privacy in your backyard room is with the use of a lattice style of fencing. The last great way to create outdoor privacy and achieve the look you have been going for, is to add curtains. Much like inside your home, curtains are great for eliminating heat, providing shade, and creating privacy. Whether you are looking for privacy from your neighbors or to block out the sun on those really hot days, these shade and privacy tips can be helpful in any backyard room and will definitely make you one step closer to the backyard oasis of your dreams. The next step to the perfect backyard getaway is having the right outdoor furniture. Much like a home, a backyard room needs a few different elements to tie the whole space together. A great way to achieve this is with the help of furniture. The outdoor furniture market has definitely grown a lot in the past few years. Modern design has even brought about a plethora of options for both style and comfort. Nothing will help transform your backyard into a grand escape quite like the addition of both interesting and comfortable furniture. Comfort and functionality are two very important aspects when picking the furniture for your backyard room. Whether you are looking for a more modern feel or you want to take a traditional route, these ideas will be sure to help improve the overall quality of your backyard and make you even closer to your outdoor oasis. Incorporating bright colors into your backyard room is another fun way to transform your space. Eye-popping furniture adds a sense of spontaneity, ties the area together, and provides an excellent conversational element. The best advice I can give is to choose backyard furniture that fits your space, needs, and style preference. Nowadays there is so many options to choose from so it is important that you remember to put comfort, functionality, and durability into consideration as well. After that you will be one step closer to achieving your outdoor oasis. The next step to the perfect backyard getaway is adding a splash of luxury into the mix. When you think of living luxuriously in your backyard room one of the biggest components of this is none other than the hot tub. There are a lot of different aspects to consider when incorporating a hot tub into your backyard room. Determining the best location for your new luxurious addition is definitely something to think about. When deciding where to put the hot tub these are some factors to consider. It is also important to leave space around the hot tub for additional seating and walking. This is something that people often don’t consider since there is seating inside the hot tub itself, but it is an important element in the overall feel of your backyard room. This layout allows for multiple areas of access. There is even a shade element offered in this backyard which is also a great addition depending on your preference for sunshine or shade. Original image by MAAX Spas Industries Corp.
Another element that is very important when upgrading your backyard room from ordinary to luxurious is understanding both the dimensions of your outdoor space and the dimensions of the hot tub you are looking for. 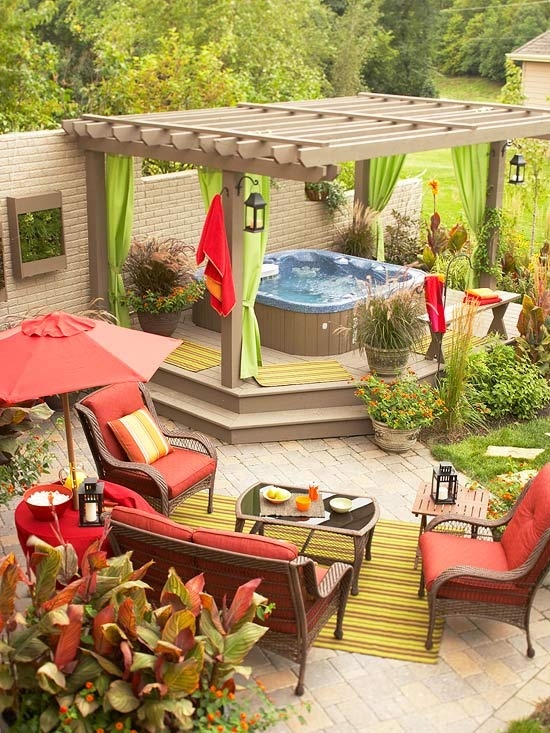 Ultimately, anyone can create a great backyard room without the addition of a hot tub. However, this extra element will give your backyard that added wow factor and transform your outdoor living area into the oasis you've been looking for. 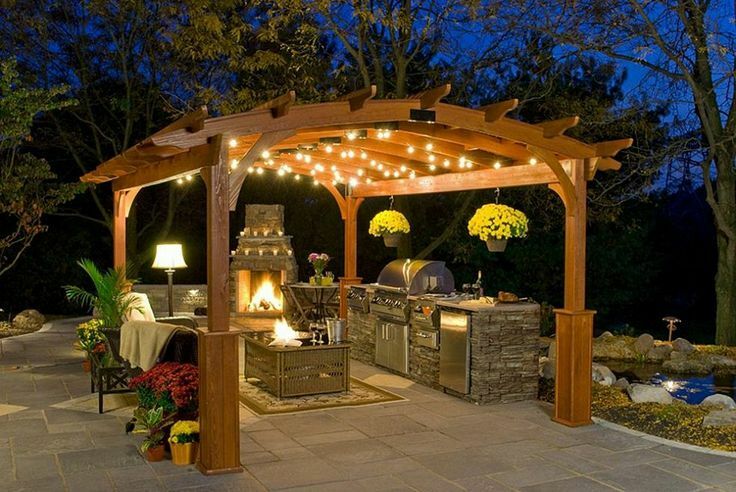 A major aspect of creating a backyard getaway requires the use of outdoor lighting so you can utilize your beautiful new space at all hours of the day or night. When incorporating outdoor lighting it’s important to understand what’s best for your backyard room. 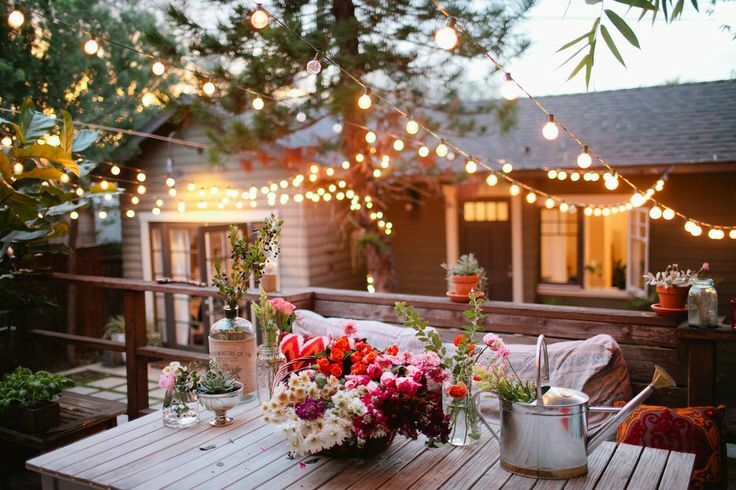 Another new trend that is showing up in many backyards is the placement of outdoor string lights. These lights create both ambiance and a decorative piece, two elements that are very important to achieve in any backyard getaway. The style of lighting you choose depends primarily on the backyard room style and the feel you are going for. In addition to overhead string lights in your backyard you can also make great use of ground lights. There are many different styles of lighting you can use to light a path. One of the most popular types of ground lighting is luminaries. Original image by MAAX Spas Industries Corp. The little added ambiance of lighting outside opens up the possibilities for many outdoor activities, whether you are looking to plan a dinner with friends and family, a romantic night in, or even a relaxing evening alone. Any of these luxurious light elements will help transform your backyard into the getaway you have been working towards. In addition to the added wow factor associated with backyard lights; fountains, fireplaces, and fire pits are also nice enhancements to any outdoor oasis. Each one of these options will enhance your backyard experience. There are many different types of water fountains you can incorporate into your backyard to give that extra pop. The benefit of incorporating a fountain into your backyard is both the eye-catching look and the soothing sound that generally accompanies the presence of running water. No matter how simple or extravagant the water feature you incorporate into your backyard room is, the benefits will be just the same. Another great addition to any backyard paradise is a fireplace. 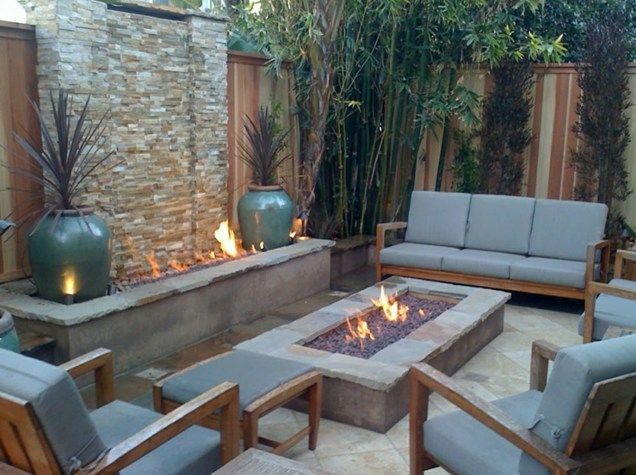 Much like fountains, fireplaces add a natural focal point to your backyard. There are many benefits of incorporating a fireplace into your backyard room. 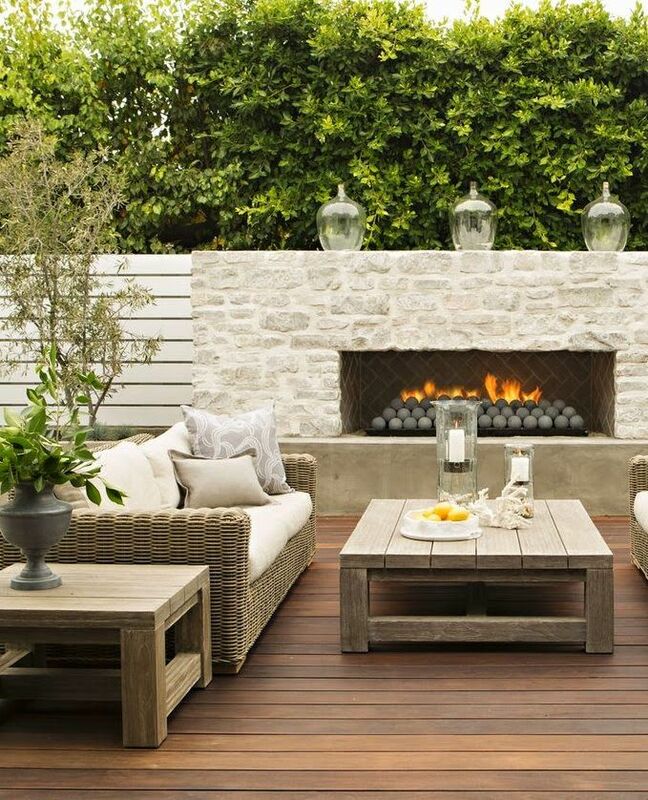 For starters an outdoor fireplace allows you to make full use of your dream backyard year round. Depending on the size of your backyard you can decide on adding a fireplace or a fire pit. While both provide beauty and usefulness in an outdoor space, fire pits tend to also serve as a place where people are drawn together. All of these elements on there own are great enhancements in any backyard room, but by incorporating them all together you will definitely create a backyard paradise. The most important element of transforming your backyard into the perfect backyard getaway is allowing yourself the time to enjoy it. So often we get lost in our normal day-to-day lives that we forget to relax. 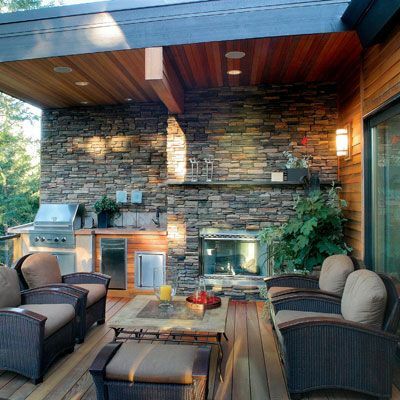 With an outdoor oasis like this, you won’t want to miss utilizing it any chance you get. Bring friends over, invite family, and treat yourself; you deserve it. By incorporating separate zones with privacy, an outdoor kitchen, decorative furnishings, a luxurious hot tub, outdoor lighting and an eye catching water element or heat source, you will have all of the elements necessary to complete your backyard paradise.